It was once believed that Customer Relationship Management (CRM) systems were only helpful for law firms, or for big businesses like Amazon. Not anymore! Yep. As it turns out, all industries can benefit from good CRM systems used well – and accounting is no exception. More and more accountants are using CRM software to win new clients and maintain a large, complex database of customer relationships. A CRM can help you reduce costs, increase your team’s efficiency, and improve the quality of your engagement with your network. So what are you waiting for? We’re breaking down the best CRM software for accountants, Read on for our top picks, or dive into the table below to jump to our reviews of each CRM provider. And if you’re already set on a CRM to help boost your accountant business, look no further. Click on the thumbs below or simply fill out our short form and we’ll match you with a top CRM provider, so you can start comparing quotes – free of charge. There are many great CRM softwares on the market, but some offer a stand-out service to accounting firms. They are: Salesforce, Insightly, Microsoft Dynamics 365, Hubspot and Zoho. If you’re after a CRM system that’s highly customisable, versatile and well-trusted then look no further. Whatever you want from your CRM system – reporting, forecasting, managing marketing campaigns – you can make Salesforce work for you. Over 7,000 accounting firms worldwide trust Insightly to help them connect with new and existing customers, and it’s easy to see why. Clever and precise social media tracking links you with potential leads, while organising interactions improves existing client engagement. Insightly integrates seamlessly with popular accounting apps, including QuickBooks Online and Xero. Free Try Insightly on a small scale before commiting to a paid plan – up to two users. Nothing! Microsoft Dynamics 365 provides CRM solutions for a number of industries and have tailored solutions for accounting. Understanding that businesses need to stand out from their competition and offer their customers a better service, Dynamics 365 is easy to use and can help save your business time and money. With the option to make target marketing campaigns and easy integration with other software, Dynamics 365is a great choice for both new and existing businesses looking to benefit from CRM. Need a CRM solution for your accountancy practice? Hubspot is a really good-looking CRM platform. It’s simple to use, and easy to leave notes about clients and follow-up actions. Their online courses mean you’ll be a CRM pro in no time, and customers also praise their attentive customer service team. Free Lead analytics dashboard, contact management, Facebook lead ads Nothing! * Note that price varies according to number of database contacts, rather than number of users. Zoho is an excellent CRM software that’s generally favoured by startups and smaller companies. That said, some of the largest companies in existence – including Amazon – are huge fans. It’s one of the most popular CRM systems available, and with good reason. Real-time sales forecasting, automated lead management and integration with Google apps makes Zoho a firm favourite across all industries. Free Everything you need to kick-start your small business — for up to three users. Nothing! This article has given you a taster of the capabilities of six of the best CRM systems for accounting firms available today. However, with each system offering its own unique features, and some opting to price ‘per user’ and some ‘per number of contacts’, it can be hard to know where to start when it comes to comparing prices. That’s where we can help. Simply fill in this short form to receive no-obligation, tailored quotes from up to four suppliers – completely free of charge. Why spend ages trawling through other websites when you can get the answers delivered straight to you?! What is CRM in accounting? In the same way that accounting firms take financial details and turn them into readable, detailed reports, CRM software can do the same for your customers – taking their details and information about their habits to make managing your customer relationships easier, quicker and more efficient. CRM software can be combined with a number of accounting specific programmes to streamline your operations and make your business, large or small, more efficient. Does a CRM integrate with my accounting software? The best CRM systems offer a wide range of integrations with the programmes you use on a daily basis. 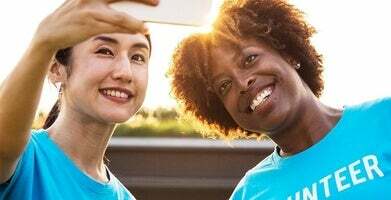 Many of the best CRM systems for accounting work hand in hand with some of the most popular software for accountants, such as Freshbooks and SageOne. 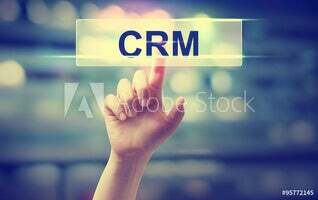 What are the benefits of CRM integration? Syncing up your CRM with your accounting software lets you automate your workflow and store all your customers’ details in one place. Integrating a CRM into your current accounting software makes it easier to turn new leads and contacts into clients. When you close or convert an opportunity in Salesforce CRM, it can automatically generate an invoice in your accounting software. Which makes things simple, and leaves you more time to do what you do best – grow your business!